Emil Dovan works for Alatheia Prosthetics fabricating and fitting functional, aesthetic prosthetics for amputees. He works closely with patients and rehabilitation providers to not only educate them on prosthetic options but also to ensure the proper physical and emotional function of his clients. He holds a BS in Health & Physical Education, in 1975 from The College of New Jersey. Q: What motivated you to pursue a career in prosthetics? A: My son was born with complications in his foot structure. All of the doctors suggested surgery, but an orthotist friend suggested orthotics. I went with the latter and avoided surgery. Throughout the course of his treatment with the orthotist, I was privileged to observe and later participate in the actual process, from measuring and producing the orthotics, to fitting and directing the patient’s corrective processes. I was inspired to become more involved in the field after seeing the improvements in my son’s feet, as well as the difference that various orthotics and prosthetics made in other patients’ lives. I eventually formed a prosthetics company to serve the rural poor of Mississippi. Q: Who do you work for currently? A: I have worked for Alatheia Prosthetics (http://alatheia.com/) for the past 15 years, a specialized facility that helps amputees rehabilitate through the fabrication and fitting of aesthetic prosthetics (Anaplastology). 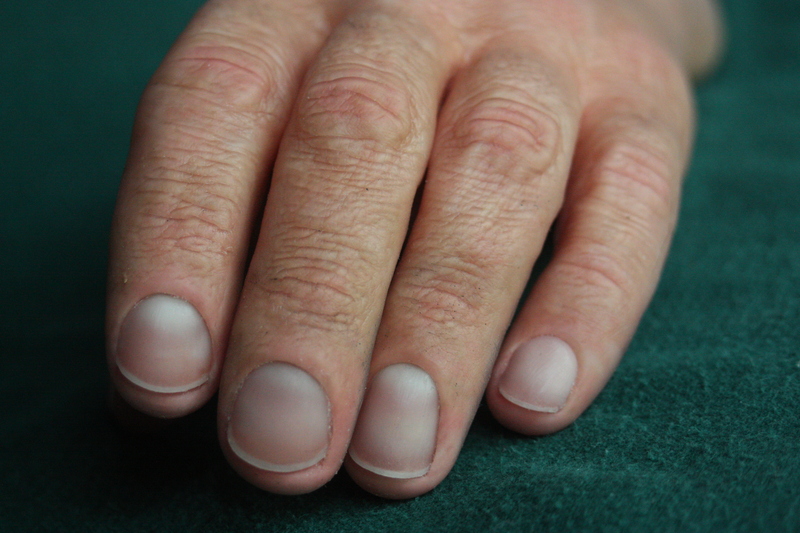 Our major focus is upper extremity – fingers, hands, partial hands. Alatheia is unique because not only do we serve the patients directly, we are also the product manufacturer. Alatheia’s clinical representatives work nationwide with both patients and other rehabilitation professionals regarding different prosthetic options. Q: Typically, what are your primary responsibilities? I work with various medical professionals including prosthetists, therapists, surgeons, and patient advocates to explore options and solutions for patient care. I also travel nationwide, providing initial treatment at a patient’s home or nearby clinic. This visit would involve creating an individual mold, taking measurements, and charting his color spectrum. Q: What types of diagnoses do you encounter most frequently? A: Amputations of fingers, hands, and partial hands account for most of our clients’ conditions, but we work with congenital abnormalities as well. Although we can supply and fabricate any type of prosthesis, from the simplest to the most technologically advanced, our primary focus is creating highly functional, custom-made, aesthetic restorations. It is important to us that prostheses are “true” looking (Alatheia means “truth” in Ancient Greek). Alatheia’s rehabilitation focus addresses not just the functional needs of the patient, but also the psychological and emotional needs. Confidence and aesthetics are an important, but often overlooked, part of prosthetic rehabilitation. A: We frequently get referrals for patients with complicated amputations. These require team effort and creativity to be able to produce the most functional and natural looking prosthetic devices possible. Function for one person is not always the same for another, so each patient is carefully evaluated to determine his individual needs. After determining needs, we engineer the prosthesis according to the patient’s expressed priorities. Many in healthcare consider functionality purely in terms of active prehension (ability to grasp), but it is much more than that. Providing proprioceptive function in finger and hand prostheses by allowing for the transfer of vibration to the residual limb is also a component of overall function. Certainly, even a passive hand will offer valuable functions necessary for activities of daily living: bracing, cradling, gathering, etc. as well as some keyboard and mouse use. However, an often undervalued function is emotional function which requires a natural look so that the patient will not later reject the prosthesis due to its appearance. Mind and body depend on each other in this regard. One of the greatest challenges we face is dealing with expectations as well as limitations and striking that balance. Q: What do you like most about your job? What do you dislike most? A: I most like delivering hope and restoring confidence to an individual. This actually extends to the patient’s family, friends, and colleagues too, because people who are close share in each other’s problems. The individual that is missing a partial hand or finger is constantly reminded that he had an amputation and grieves for the loss because it is right in front of him, not covered by clothing. When we deliver the prosthesis, psychologically, it draws him back to normalcy. As the patient progresses through the restoration process he begins to look outward, not constantly focusing on his condition. I recently presented a thumb prosthesis to a very staid gentleman who was involved in an industrial accident. We sat at a table and I purposely did not say anything. I just observed his countenance change as he donned it. After a short while he began to pick up various objects that were present; he said that he was “amazed” and had no idea it would be so helpful. When he stood to zip up his jacket he said, “I couldn’t do this by myself this morning.” Imagine the freedom he has now performing his ADL’s that were an annoyance due to his injury. He became very talkative and animated as time went on unveiling more of his personality. It was very satisfying to witness this transformation. What I dislike most is when functional performance is viewed by professionals solely as prehensile function, all very measurable to good published norms. I believe that other useful functions should be given appropriate consideration such as Emotional Function, Passive-Active Function, and Vocational Function, to name a few. These involve a more subjective view of the patient that may not be on the chart. We have heard numerous times from the patients who have been told “you don’t need a (finger) prosthesis.” A person with an upper extremity amputation is continually reminded of it while communicating, driving, typing, eating, etc. not just because of the challenges to his functional ability but because it is always in view. Q: Are you currently involved with any research projects? Are there any projects that you would like to be involved with? A: We have made some discoveries through much research of silicone technology (Dermatos® skin) that have applications in other areas. Currently, I am working with a law enforcement agency on an electronic security scanner with regard to fingerprints. On another project we are creating a custom CPAP breathing apparatus. Also, I was recently asked to supply fingers that would replicate touch and response for an Apple add-on keyboard product. One day, I would like to help develop an improved cover for the latest advanced articulating hand. Q: Do you feel that the prosthetic field has changed over recent years? If so, how? A: There have been advancements in prosthetics and anaplastology which have gotten a great deal of focus due to war time injuries. We view our mission as a way to join innovative technology and realism, as we seek to make technology personal. Some of our clients enjoy the “exposed” or “machine” look (for their own reasons). Our desire is to help those interested in a natural looking, anatomical restoration so that they are known and regarded for their words and accomplishments, not their prosthesis.